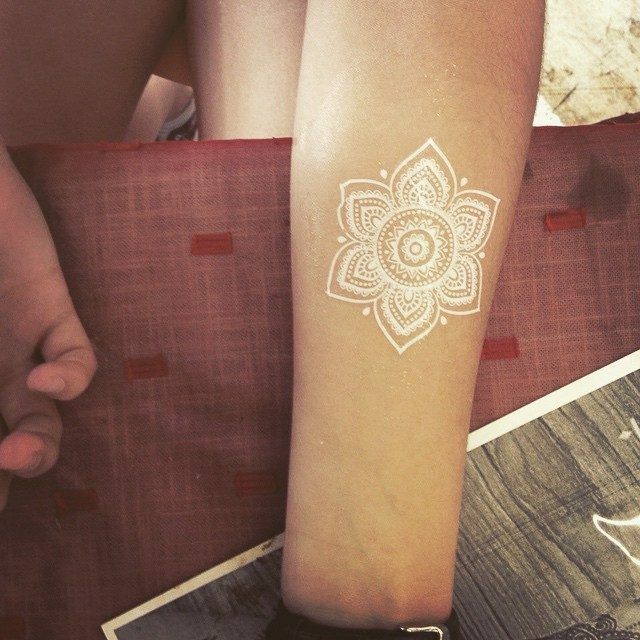 White ink tattoos are the most innovative form of tattoo art, which as the name suggests, are inked using UV white ink, which is scarcely visible. 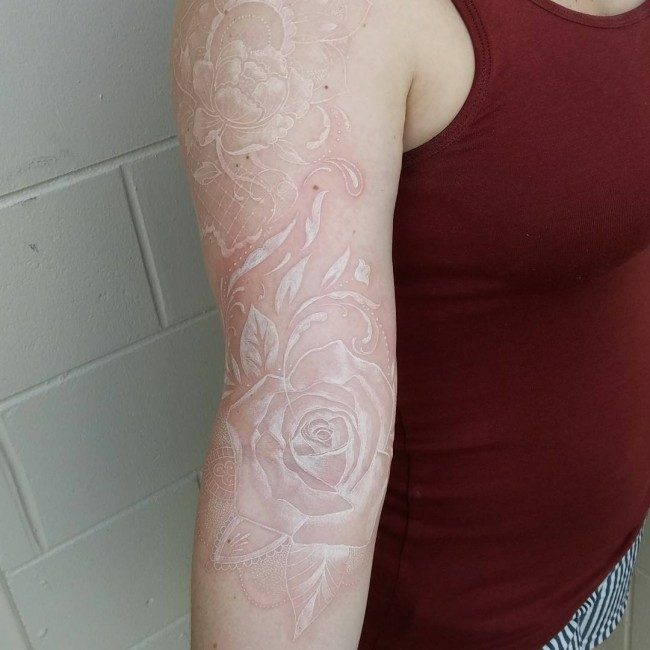 These tattoos become visible only when seen in natural sun light. Such tattoos are preferred by fair skinned people, though even those with darker skin tones have also started having them done these days. They are popular in both men and women. The best thing about these tattoos is their subtle nature, making them expressive without being too loud. However, the thing to take care is to have them done by an expert artist as a badly done tattoo can look really unsightly. Also, the margin of error is minimum, as a small mistake can lead to skin damage, with the ink penetrating into the skin. 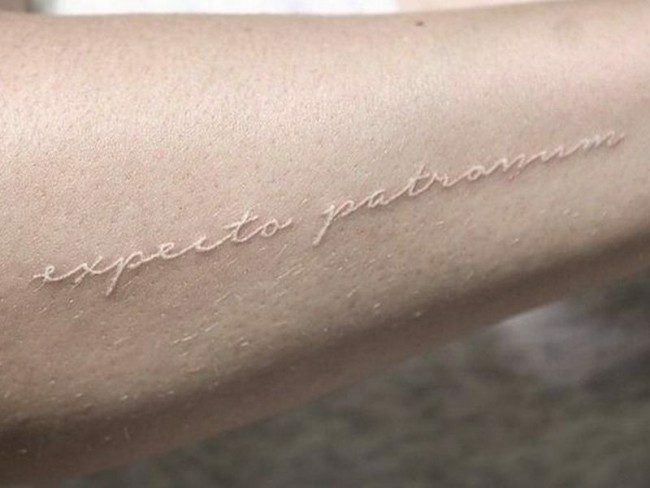 Sometimes, these tattoos can look like a rash, while they may also fade in some cases. The quality and durability depends, to a large extent, on the quality if ink used as well as the expertise of the tattoo artist. Despite its weak points, this form of tattoo continues to be popular because of its unique look and styling. They are some kinds of gorgeous body art that are still unknown to a lot of people in the entire world. Or maybe, many people only know a very few information regarding these very unique body tattoos. These tattoos are actually one of the most innovative tattoos that you can ever wear on your body these days. If you are worrying that these tattoos will not look great on your body, then you can now stop worrying since it is rest assured that these can give you the gorgeous physical appearance that you are always trying to have. One very important thing in order to have a white ink art is a UV white ink. Without this ink, you can never have the white ink art that you want to engrave on your body. 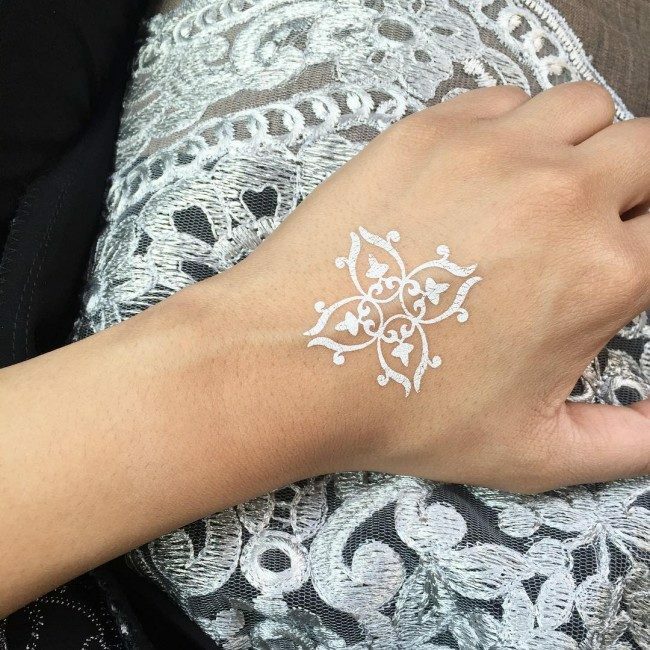 Because of this ink, the tattoo will only be visible when it has sunlight or during the day. Meaning to say, it will not be visible during nighttime, and this adds more drama to the said tattoo. 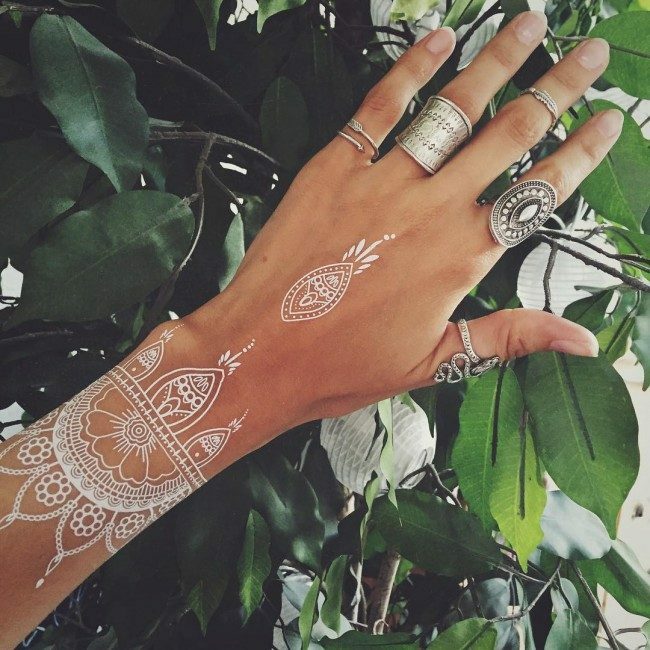 Hence, it is no longer surprising why more and more people are getting interested about the UV tattoos these days. Look Like Scars – At first glance, they may appear like scars that appear because of wounds and some other reasons. It is simply because of the fact that this tattoo does not have enough outline that will help other people determine that it is a tattoo. If it has some more colors like black and red, it can be more visible and obvious as a tattoo. Some other people may think that this is a skin infection. Less Visible – For sure, you already have an idea that a white ink cannot be very visible to the eyes, especially to those people around you. One main reason is the fact that only white ink is used in engraving the tattoo on the body. If it involves some more colors, then it will never be called white ink art, right? 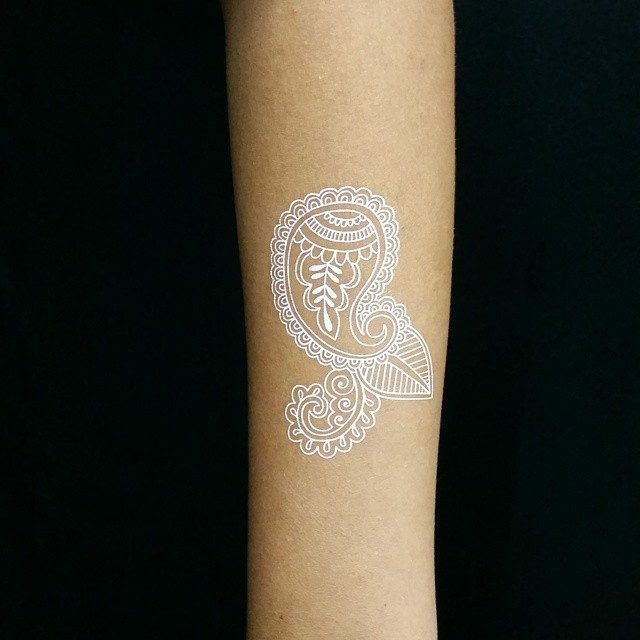 If you have fair white skin, then the visibility of the tattoo is assured to be lesser. 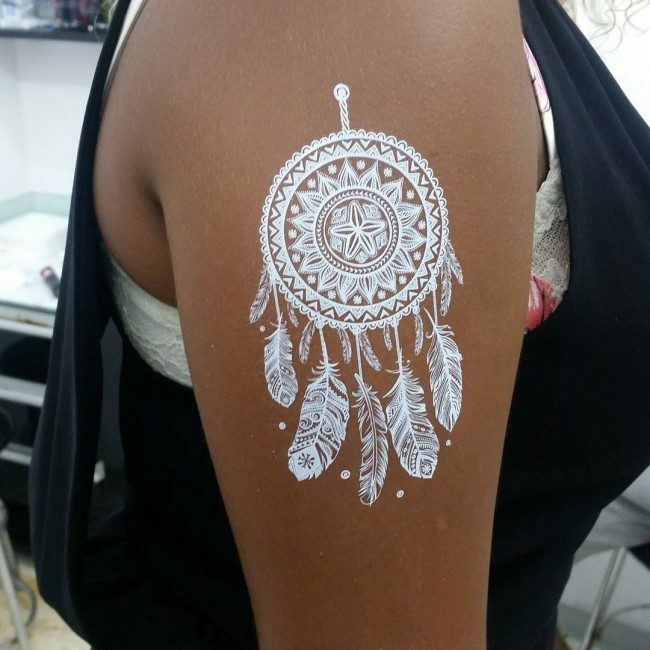 But if you have a darker skin tone, see to it that you are ready for the fact that the tattoo will appear a bit red on your body especially if it is still on the process of healing. Quickly Fade – Another very important thing that you must know is that they quickly fade as time goes by when compared to those tattoos that use some other colors like black and red. 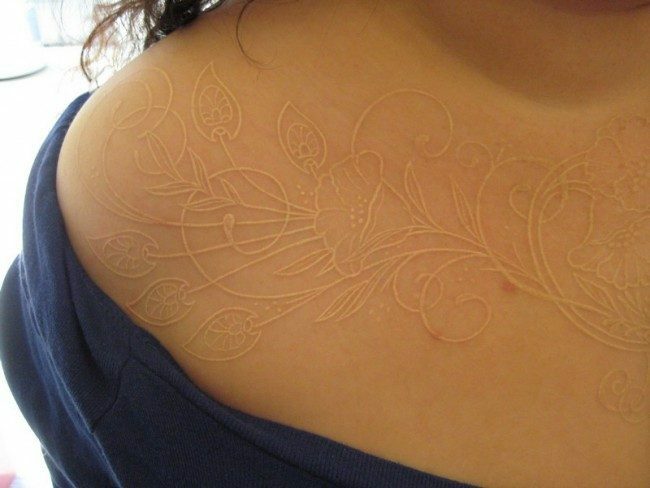 This is actually expected since it is the nature of the white ink for tattooing. When it already fades, what you need to do is have it retouched with the professional tattoo artist that you hire. Require More Time – They also requires a lot of time from the side of the professional tattoo artist that you hire. It is simply because white ink is very hard to become visible, so tattoo artists normally need more time. This is the main reason why you need to have a considerable amount of patience with you. 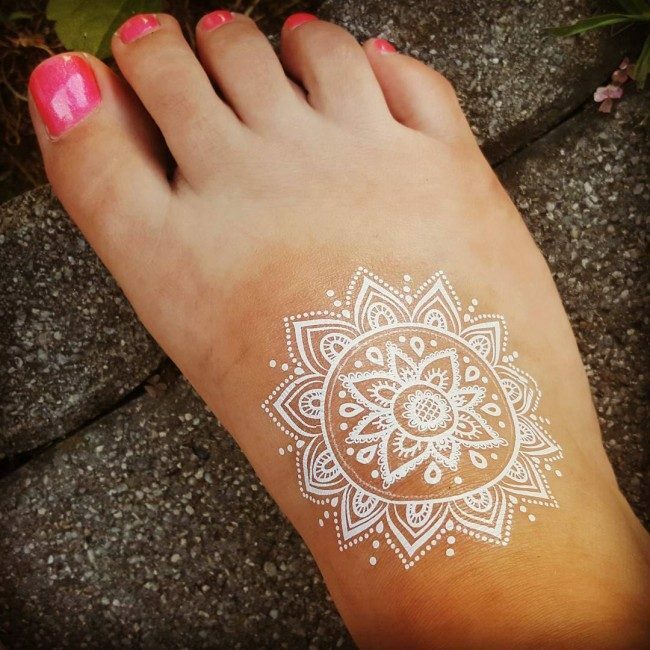 Don’t Stay White in Color for a Lifetime – If you are one of those people who are thinking of having a UV tattoos on your body, then you should also know that the tattoo will not stay white in color for lifetime. As time goes by, the color will fade and become yellowish in color. This is the main reason why it will look like a skin infection. With that being said, it is very important that you considering retouching when the color already fades. As said before, they are delicate as compared with the conventional tattoo and their designs must be chosen with care. 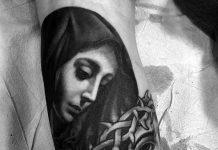 The first and foremost thing to keep in mind while choosing a tattoo is to learn about the expertise of the artist who is going to do it for you. Only an expert can give you the right advice regarding having a bit of color added to the white ink, so that the tattoo looks embossed on the skin rather than like a scar. 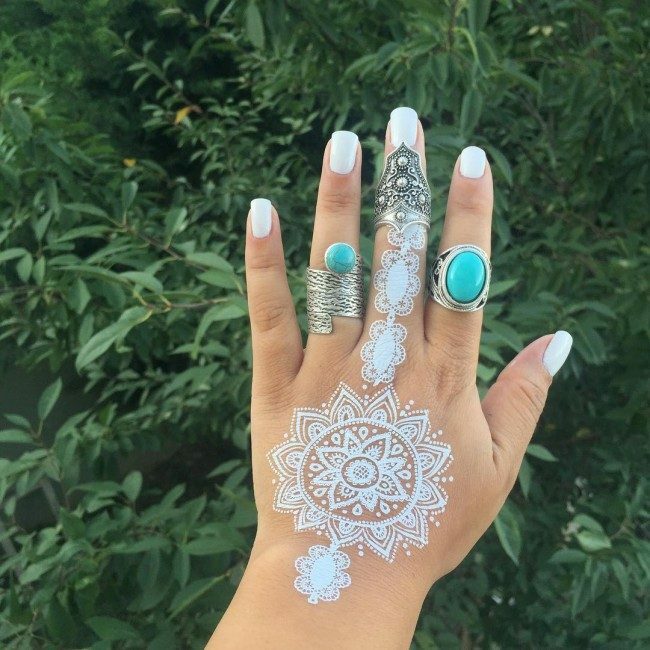 The artist may make use of pale pink, yellow, mauve, ivory or a very light shade of blue, along with the white ink so that the color of the tattoo gels with your skin tone to perfection. A well chosen design looks like an embellishment for your skin, beautifying it in a very subtle and charming way. 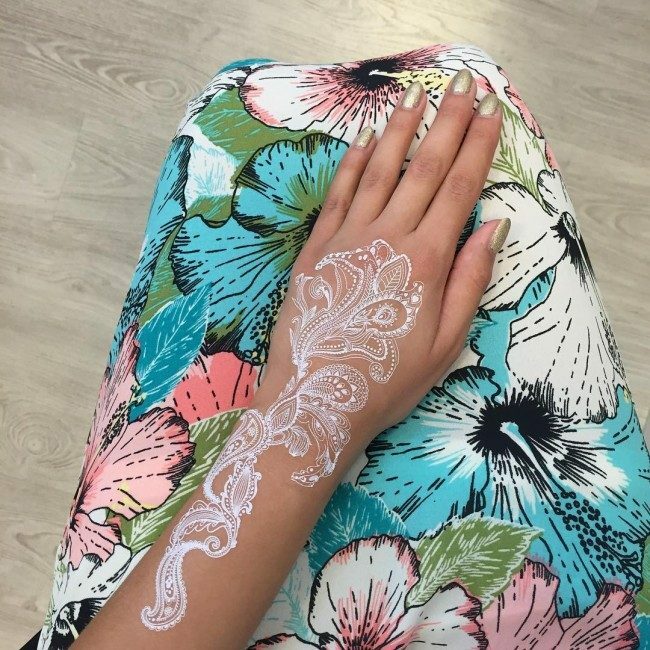 The lace like pattern or self design on the skin can be really eye catching and attractive. The job has to be done with great diligence due to the detail and intricacy of the white ink pattern. For this reason, it can be quite painful to undergo the whole process, which is very time consuming. A lot of research for selecting the tattoo can help you get a design, which is worth the time, money and pain involved in having the tattoo done. The popular designs are featured on the fingers, wrist, ankles, back, shoulder, arms, thighs, legs and side. They look better on lighter skin color, which is the reason why dark skinned or tanned people are seldom seen with UV ink tattoos. The most popular design is the intricate lace design, which gives a beautiful, embossed look to the skin of the bearer. One can also have several other patterns done in this kind of tattoo, which includes flowers, birds, butterflies, arrows, stars, cross and hearts, to mention just a few. Words, phrases, names and quotes can also be done, but they are not as prominent as image designs. Needless to say, there are a lot of things that you should do as the aftercare. Without doing the aftercares, you might possibly get infected. Hence, keeping all the aftercares is very important. Cleaning the area where the tattoo is placed would help. You can use soap that can kill the germs that may surround the area. Keep it in your mind that it will take more time when talking about healing duration. In other words, there might be several risks that you should expect when going with the UV ink tattoos. 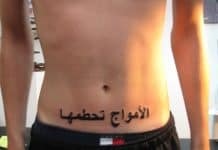 This is the main reason why you need to be very responsible in having such tattoo. Jasmine Lennard – Jasmine Lennard is a 31-year-old English television personality. She is one of those famous people who were captivated with the amazing beauty of a white ink art. She has a word that goes, “a more appassionato“. In English, these words simply mean “love passionately”. Kate Moss – Who would not know about Kate Moss? She is a 42-year-old English supermodel who became extremely famous in the entire world. Many people love her heart design. It is scattered in several parts of her body. Lindsay Lohan – Lindsay Lohan is a very controversial American actress because of the numerous legal cases she’s facing. These legal cases have something to do with drugs and reckless driving. 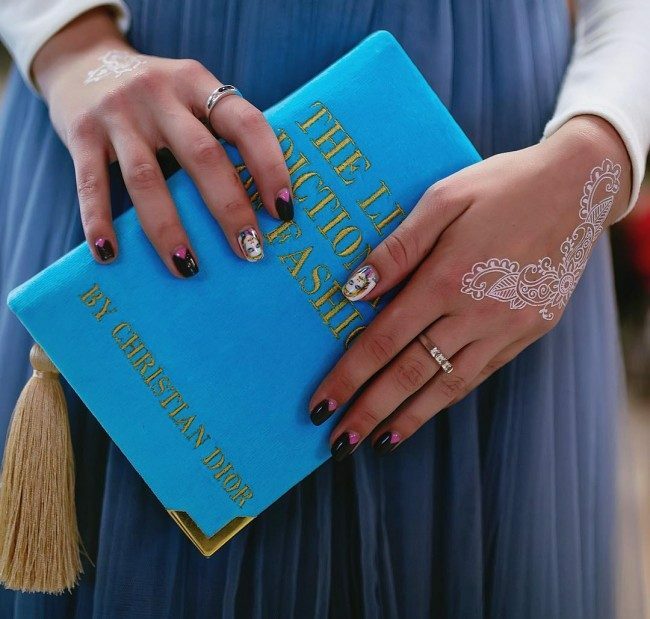 However, her beautiful white ink art can never be hidden to the eyes of the people. She has a word on her right wrist that goes, “Breathe“. Flowers Design – Who would say that flowers designs are not good subjects for a white ink? Flowers are definitely gorgeous designs, no matter if you are opting for a colored tattoo or a white ink. You can choose roses, lotus, sunflower, cherry blossom, lilies or anything you want. Quotes Design – Some people think that quotes might not be readable, especially if the wearer has white skin complexion. If you want the tattoo to be very significant, you can choose to have your favorite quote. Or maybe, you can have the very popular “LOVE”. Tribal Design – You might say that a tribal design is not appropriate. However, sorry to disappoint you but a tribal design will look gorgeous for white ink. You will surely love it when you have this design on your body. Feather Design – Feather is a very beautiful design that is preferred by a lot of tattoo lovers in the entire world. This is the main reason why it also looks great. Animals Design – Animals can also be great subjects. The big question is, what animals are you going to choose? In this case, it is all up to your personal preference. You can choose lions, horses, tigers, or even birds. Heavenly Bodies Design – It is also best to choose those heavenly bodies in designing. 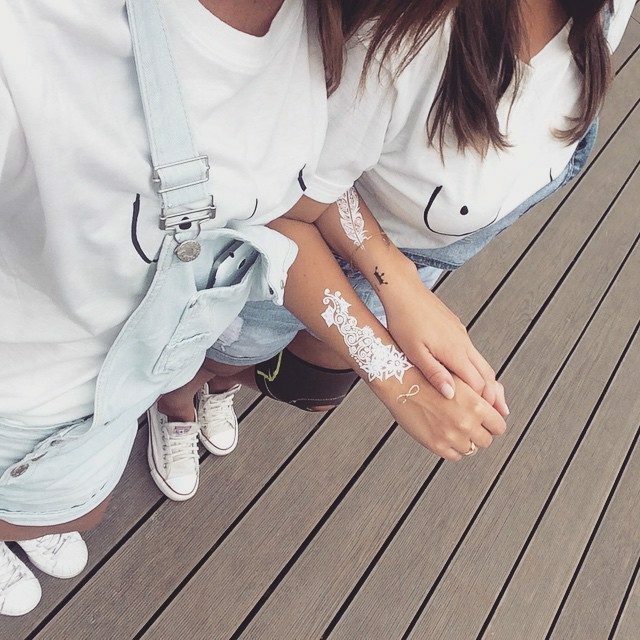 Sun, stars, and even moon will definitely look extremely gorgeous on your body. These will also be very meaningful. They are preferred by many tattoo lovers who look for an alternative to traditional black or colored tattoos. 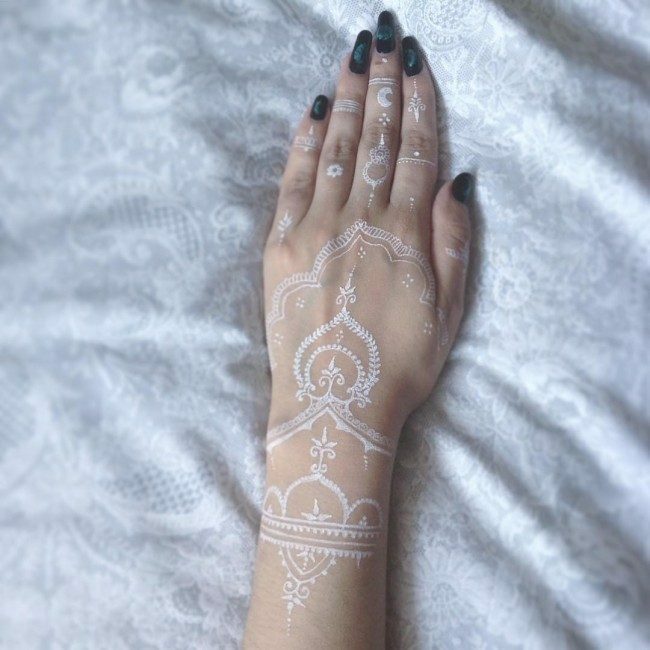 They can feature geometric patterns like tribal designs and lace, and at the same time look good on more intricate and feminine designs like flowers and butterflies, which makes them very versatile. Also, they look absolutely different than the conventional black and colored tattoos, as they can glow in dark, giving it an altogether new dimension. They can be embellished by making use of black shadings, teamed with vibrant colors for creating an innovative tattoo design. 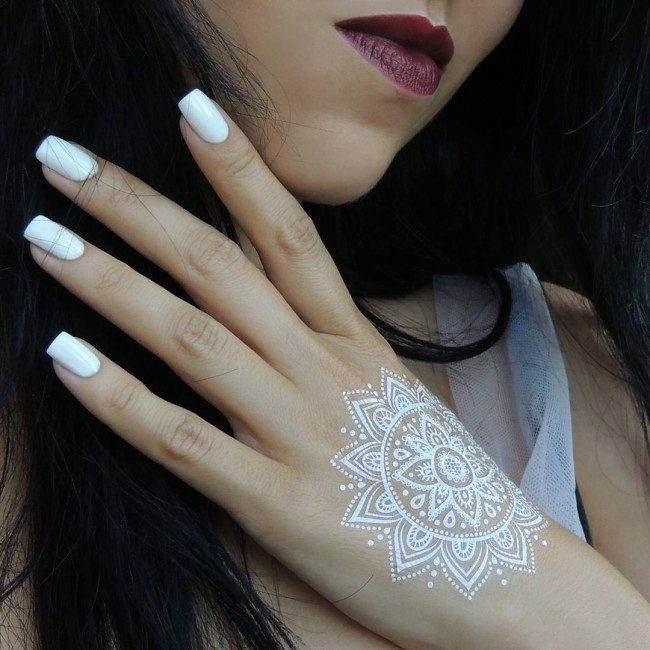 These tattoos are made using a special kind of white paint or ink, which has the ability to glow in the dark. 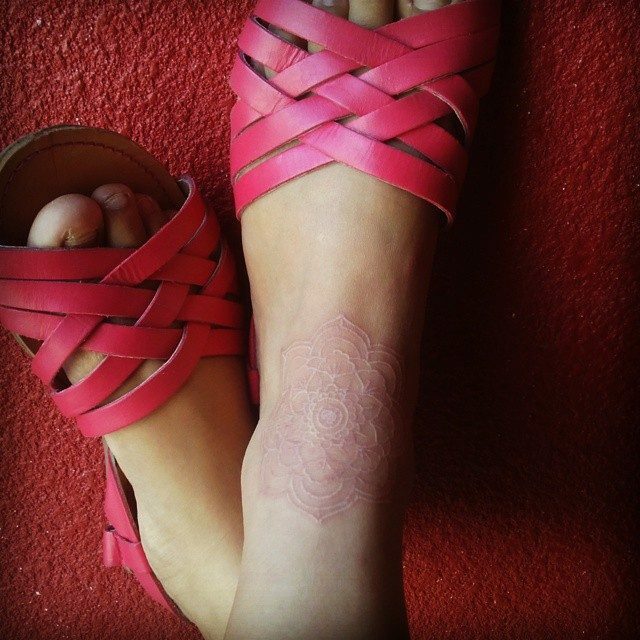 The special feature of this kind of tattoo is that it looks like a scar embossed on the skin of the bearer. The ink is injected under the skin layer and the paler the skin color, the better the effect of the tattoo. This kind of ink needs to be handled with extra care as it is comparatively thicker than the regular black ink, which is why only an expert artist can be trusted. Additionally, one must be careful that the tattooed area is not exposed to direct sunlight for prolonged periods of time as it can lead to fading of the tattoo. Moreover, white ink can react adversely with some skin types, which causes a safety issue. Also, they take longer to heal and the skin to get back to its normal texture. The bearer has to take extra precautions in case of this kind of tattoo. Regular application of anesthetic gel may be helpful in case of skin reaction, while one should avoid using cosmetic over the tattooed area altogether. 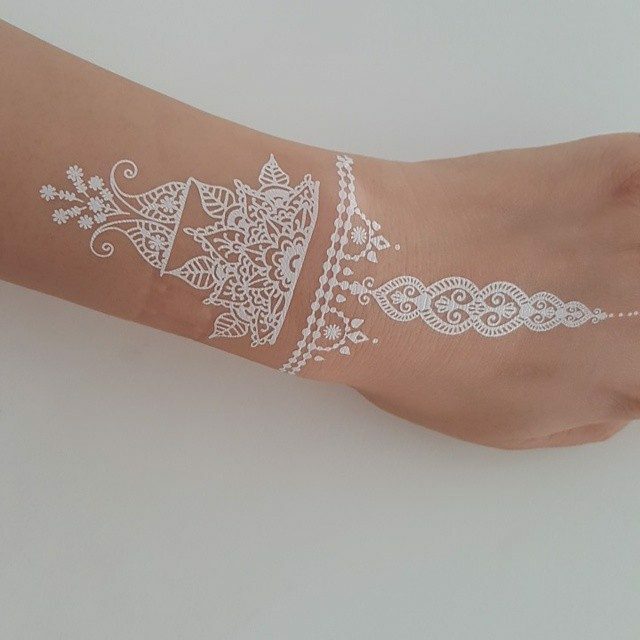 There are No FDA Approved UV White Ink – There are a lot of tattoo artists out there who are saying that the UV white ink they are using are FDA approved. Even so, you should know that there is no truth behind this claim. It is simply because there are no inks that are being approved by the FDA when it comes to tattooing. Any ink is not allowed to be put under human skin. Hence, it is quite a risk for you to have some tattoos on your body. 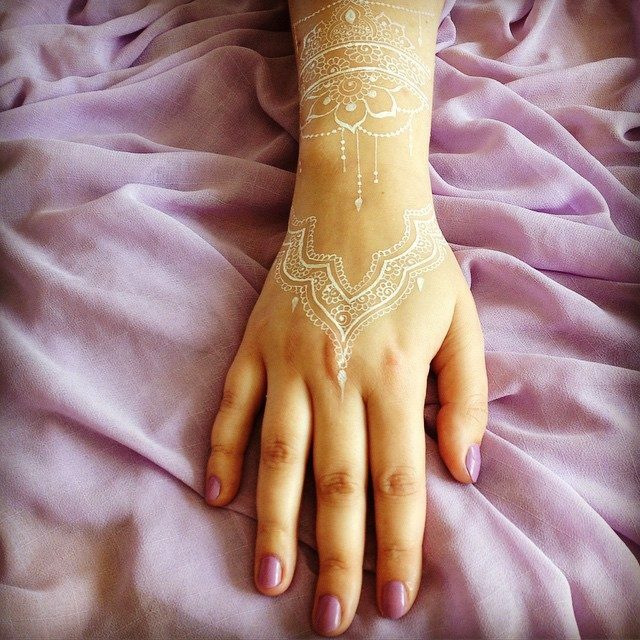 Allergic Reactions are Highly Expected – When you allow yourself to be tattooed using the UV white ink, then you should expect that you might experience some allergic reactions on your skin. It is definitely because UV white ink will make your skin more prone to allergic reactions unlike the blank ink. This goes to show that you need to be careful when you consider having them. Be sure to test the ink first, so that you will know that you are not allergic on it. The Long Term Effects of UV White Ink are Still Unknown – Until this very day, the long term effects of the UV white ink are still not sure. There are still no experts who can prove its good or bad long term effects. Meaning to say, you should be prepared enough whatever happens after you let yourself undergo the tattooing process. Difficult to Apply for Tattooing – Another important thing that you should know regarding the white ink is that it can be very hard to be applied on your skin for tattooing, requiring more time to finish the tattooing process. Apart from that, in order to properly apply the ink on your skin, a blacklight is highly needed. 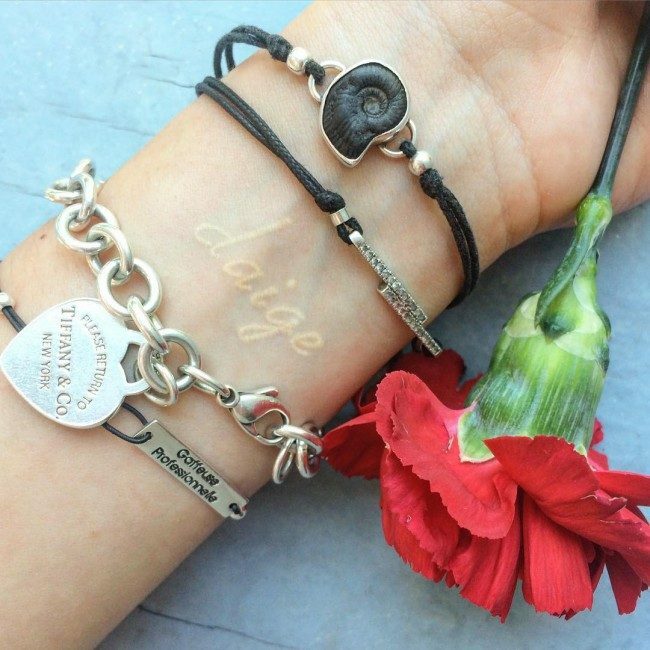 Tattoos on Wrists – It is all up to you whether you want your tattoo to be put on your left or right wrist. Just think of the main purpose of wearing such tattoo. Tattoos on Arms – Arms will also be the best placements for the tattoo. People will surely notice it when it is put there. Just make sure you engrave it on the right portion of your arms. attoos on Neck – There are a lot of people who prefer placing it on their neck. Some say that it helps them a lot to look gorgeous to the opposite sexes when they place the tattoo on their neck. Tattoos on Back – If you want your tattoo to be not that visible to the eyes of the other people, then putting it on your back would be great for sure. Tattoos on Legs – Legs are also perfect locations. Legs are normally longer, so the particular illusion that you want to show with your tattoo can surely be achieved. Tattoos on Stomach – Another perfect placement for this tattoo is stomach. This is a common option of many women tattoo lovers in the world who consider having UV ink tattoos. Tattoos on Thigh –If you want to have your tattoos not that obvious to some other people, you can choose to place them on your thighs. 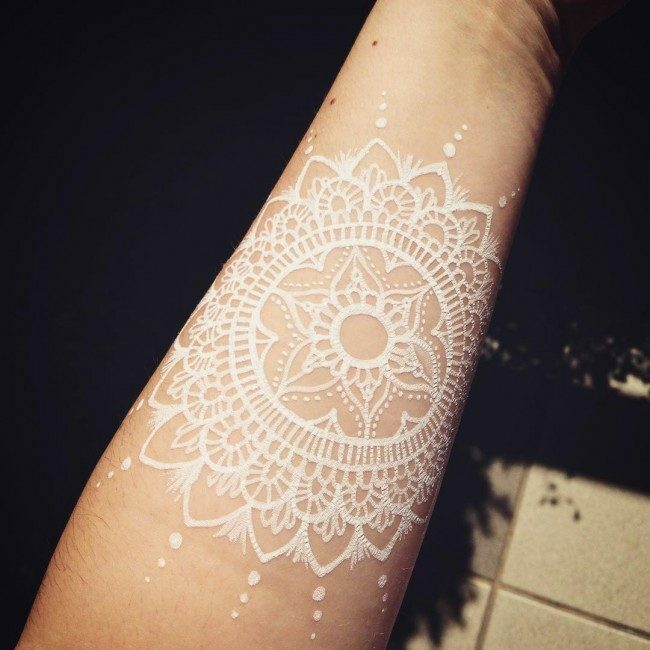 All in all, white ink tattoos are very beautiful body arts that you can have on your body. Even so, you have to think about it many times before finally deciding to have these tattoos since they might pose some side effects or harms on your skin. Moreover, you should know where to put these tattoos on your body, where they can serve their main purpose well. You will never have these tattoos without your own purpose, right? 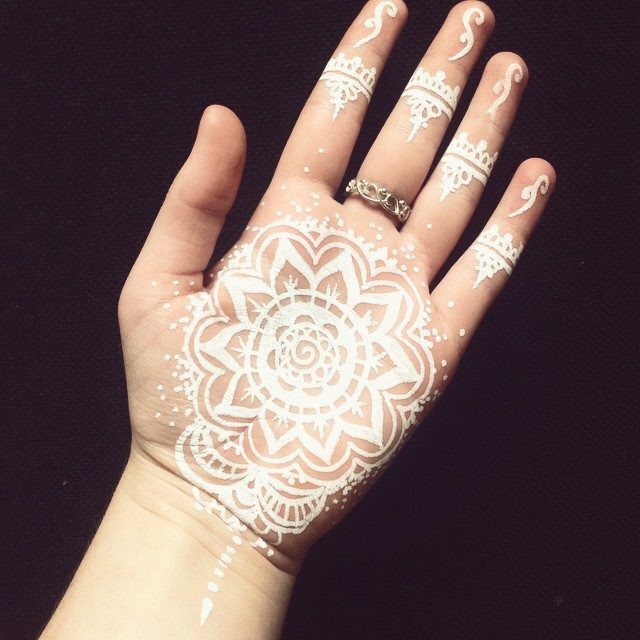 They may be the most attractive form of tattoos, but they are also the most delicate ones. In case you plan to get a white ink art tattoo, it is essential to check the credentials as well as work experience of your tattoo artist, because safety should not be compromised at any cost. Tattoo industry has made several trade regulations in this regard, but it is better to be safe than sorry, as many inadvertent people are still operating in the industry. Such people are bothered little about the safety of the clients and may trap them by making false claims. Therefore, one must go through the profiles of the artists and also make reference check on them before finally hiring them.